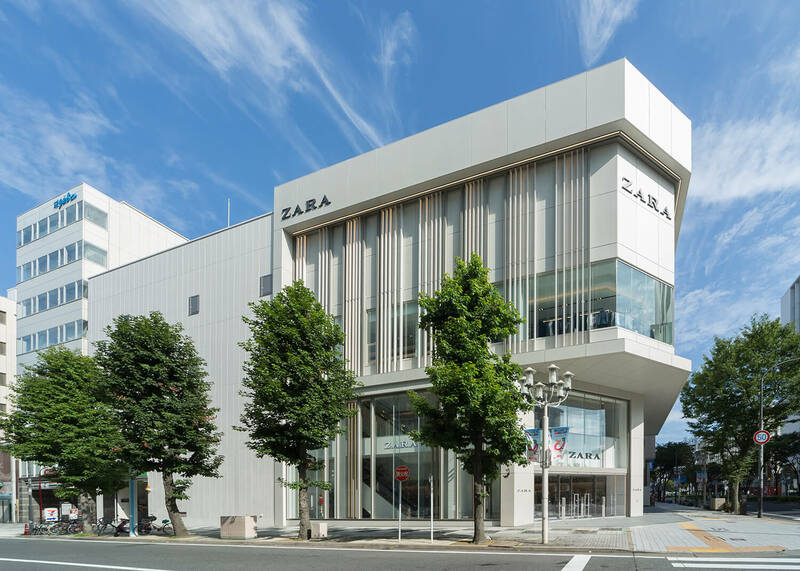 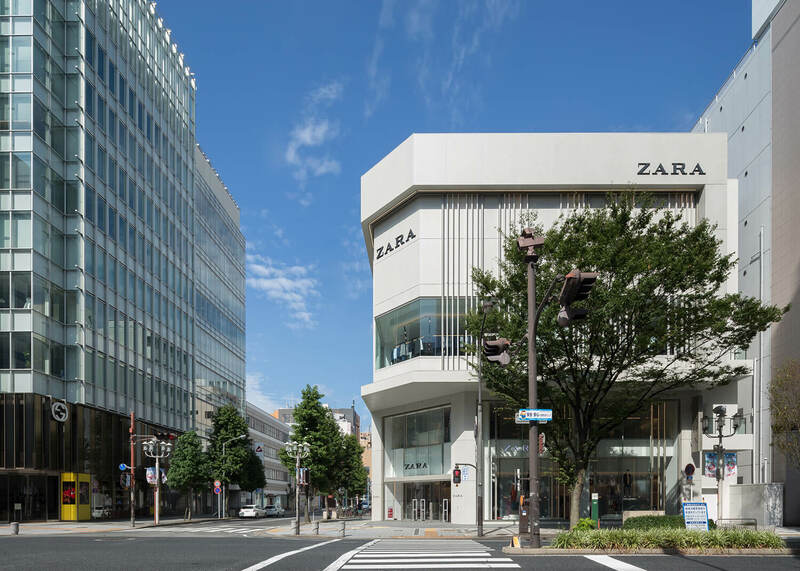 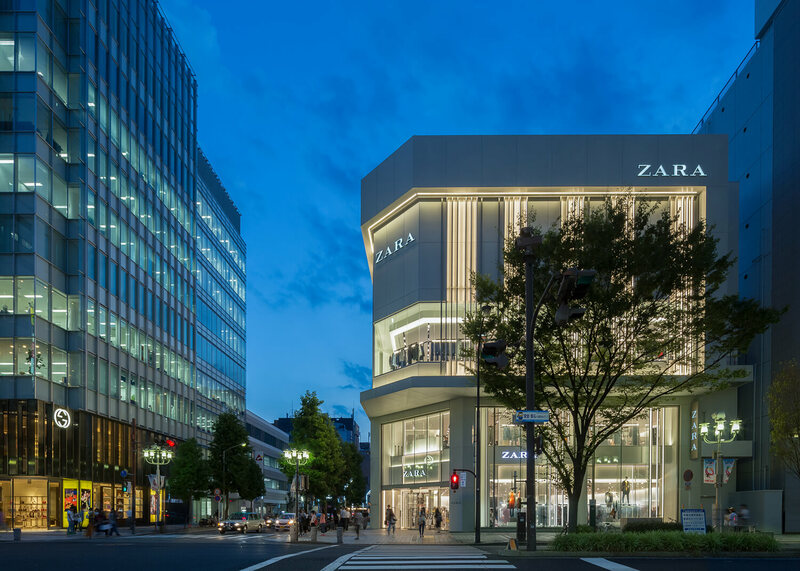 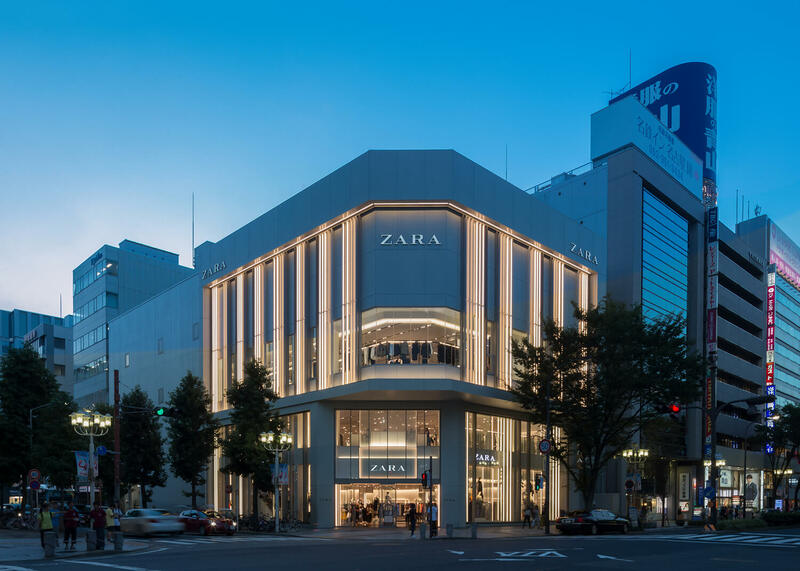 Spanish fashion brand ZARA’s shop reconstruction in Nagoya, Aichi. 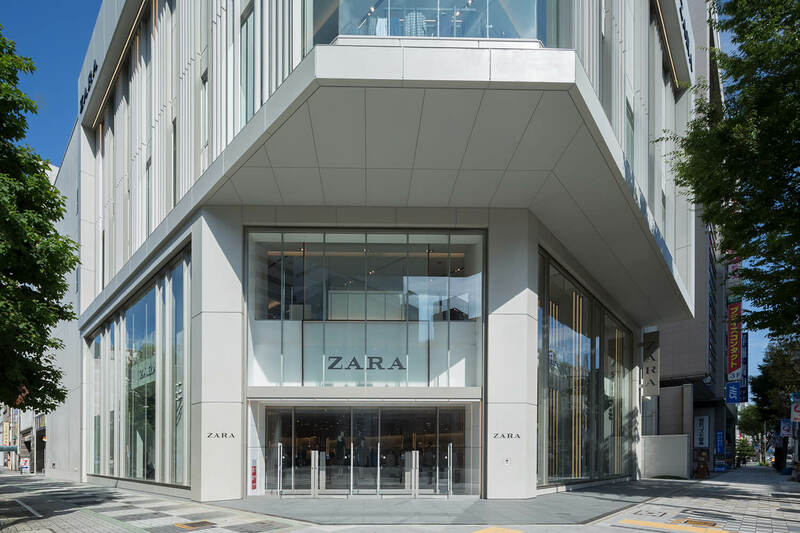 The facade is covered with glasses on three stories, stands out the vertical communication and appeals more clearly the brand’s fashion concept. 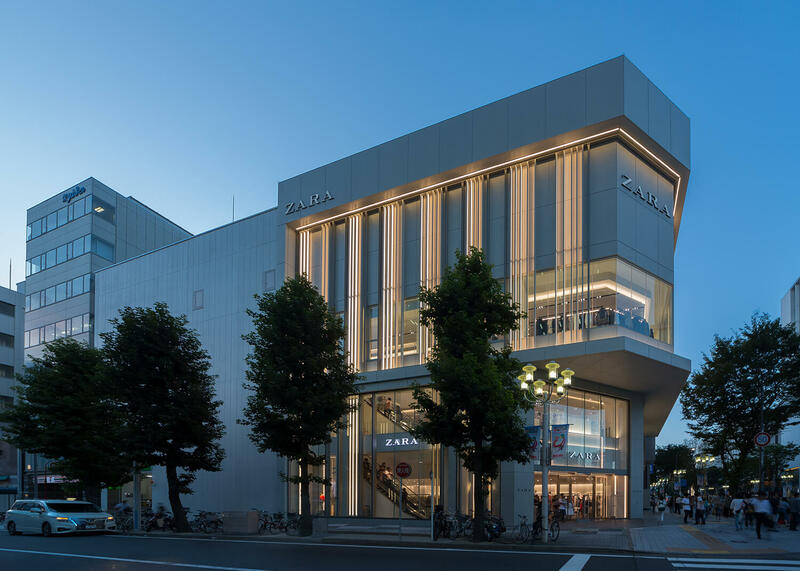 Open facade connects store and street visually, and works like a filter between inside and outside. 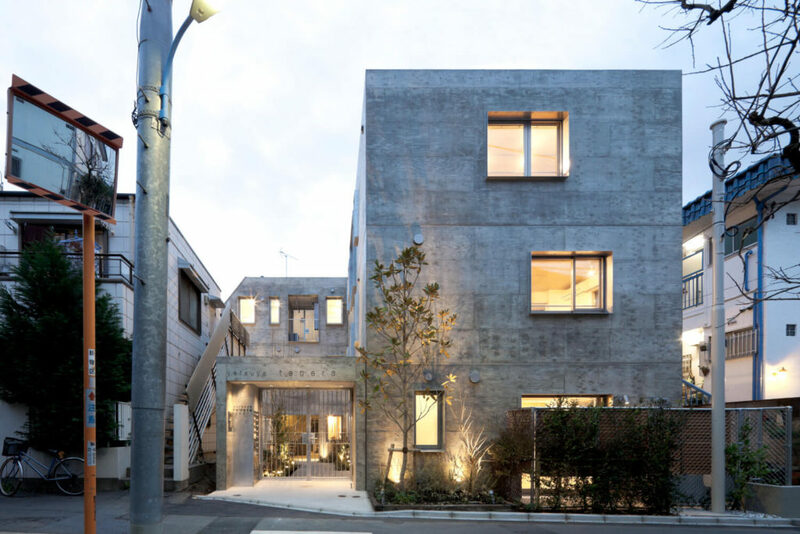 The Lighting bar which is installed on facade and inside, makes characteristic facade at night. 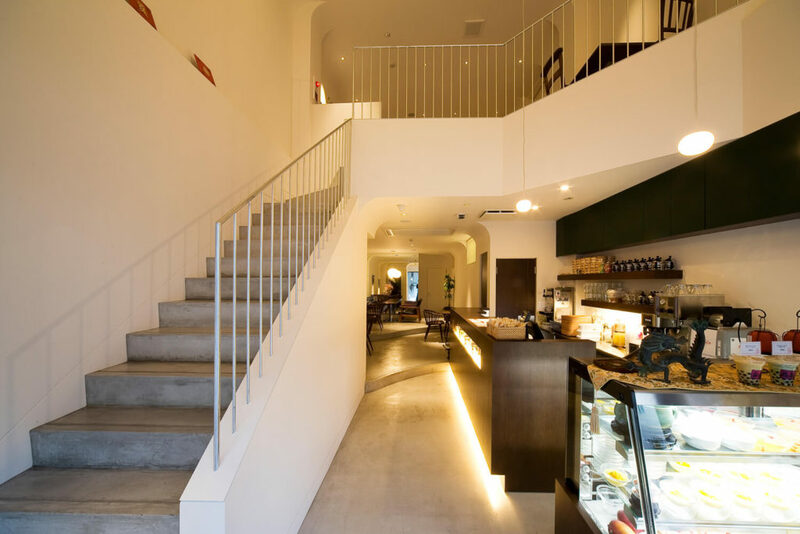 The shop sales area is now expanded to the third floor and it has three stories for sales. 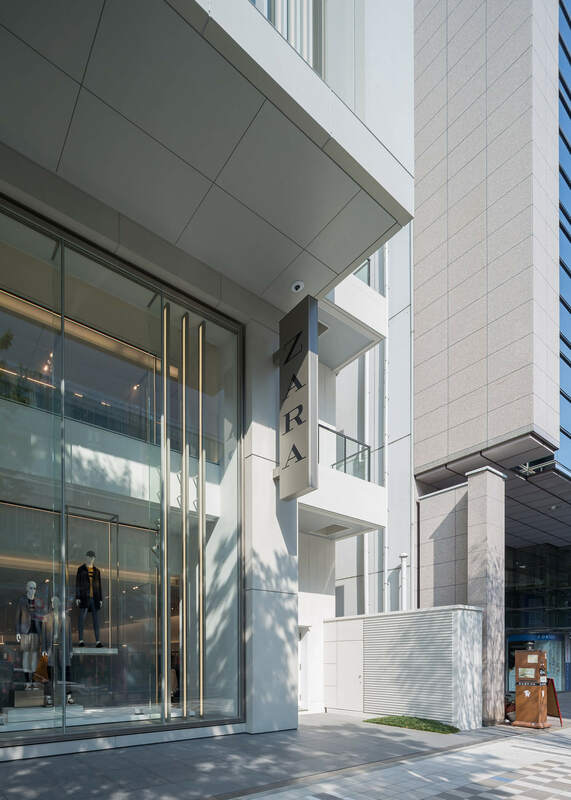 On walls, combining different kinds of wood, metal and stone make the products stand out by giving textures, and main materials like resin of fixture, mat aluminum and floor porcelain tile make fresh and bright space. 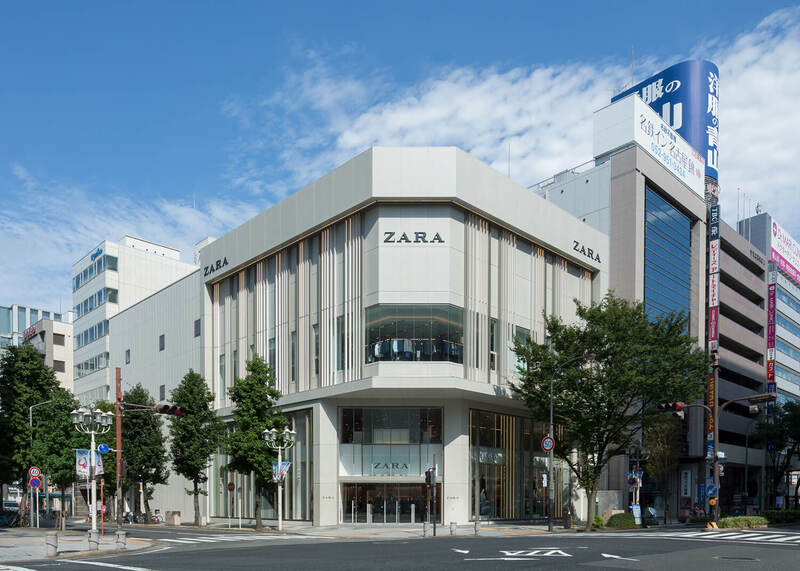 The ground floor and the second floor is ladies’ section, whereas the third floor is for both men and kids’ sections.